Running a criminal-background check on yourself is an easy way to learn what your official record looks like. You can obtain the background on your own or – if you don't want the hassle – use an online service for a fee. Since you know your past and your personal information, including any information that was expunged from your record, getting an accurate and complete record can be done without outside help. Assemble all information that you have not committed to memory. Have everything available to give to the agency you will be getting the information from. If you want or need an official record that is stamped with the state's or county's official seal, you will have to obtain the background yourself and not through an online service. The best source of a complete criminal background check is the Department of Justice for your state. If you have a criminal record in multiple states, you will need to contact each state's Department of Justice. You can also get a copy of your criminal record from the court where your case(s) went to court. For example if your criminal record is in San Diego, California, contact the California Department of Justice and the specific courthouse in San Diego where your case went to court. If you have multiple cases throughout the state, the Department of Justice will have all of that information. Depending on the agency, you might have to submit to fingerprinting. 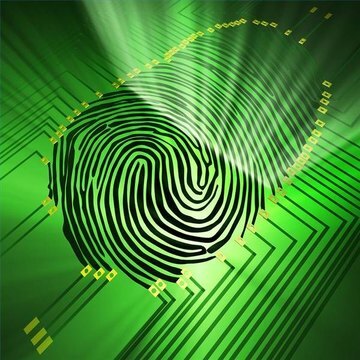 Live-scan fingerprinting is available at multiple locations in each state, and that state's Department of Justice can give you a list of locations. Once the state agency receives your prints and other vital information, it will cross-reference the state's data base to check for any record. You will have to pay a fee for getting your record and for the fingerprinting. If the Department of Justice does not have the information you are looking for, contact the records department of the court where your case or cases were decided. Sometimes the state does not have the information because the court has not provided it. You will need your name, birthdate and valid identification. The court will let you copy documents from the court file. Bring money and change to pay for the copies. If you need an official copy of something, expect to pay at least $15 per copy. Don't spend the money and time to run a check unless you are required to. Make sure your information is correct or you might end up with someone else's criminal record. Scott, Alexis. "How to Get a Criminal Background Check on Yourself." , https://legalbeagle.com/5127603-criminal-background-check-yourself.html. 18 March 2019.